The Florida Gators will be the first team in SEC to wear the Jordan Brand when they start doing so next season. 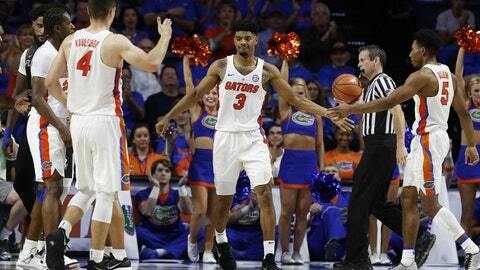 GAINESVILLE, Fla. (AP) — Florida is switching from Nike to Jordan Brand, becoming the fourth college football program to represent the Jumpman and the first in the Southeastern Conference. The partnership also will include Florida’s men’s and women’s basketball teams. The Gators will feature the Jumpman logo beginning next season. Florida football has three national championships, eight conference titles and has produced three Heisman Trophy winners. The men’s hoops team has made five Final Fours and won two NCAA championships. Jordan Brand now has a presence in five Division I conferences — the Southeastern Conference, the Big Ten, the Big 12, the Atlantic Coast Conference and the Big East.